“Drunken Promises” Jurassic Galaxy- new edition now available! DRUNKEN PROMISES- falling off the wagon again! 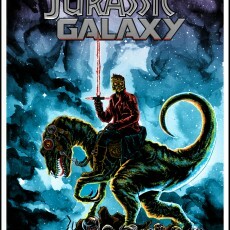 Artist Tim Doyle’s hit sold-out art print, originally conceived and created in a whiskey-fueled haze is BACK IN STOCK! This 6-color 18×24 hand-printed poster is signed and numbered by the artist in a new edition of 200 copies worldwide. Features metallic silver ink! Print is in hand and ready for immediate shipment- pick one up HERE. Prints are in hand and ready for immediate shipment! Whiskey not included…. 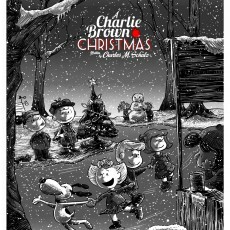 Artist copies of “A Charlie Brown Christmas” on sale Friday! Prints will be on sale HERE at 2pm Central on Friday 1/15. Once again, artists Tim Doyle and Ridge Rooms were commissioned by Dark Hall Mansion to collaborate on a licensed art print for Peanuts! These hand-printed 7-color silkscreen posters measure 18×24 and are signed by artist Tim Doyle (unfortunately, Ridge Rooms lives out of state!). These are super-limited AP copies from the original printing….